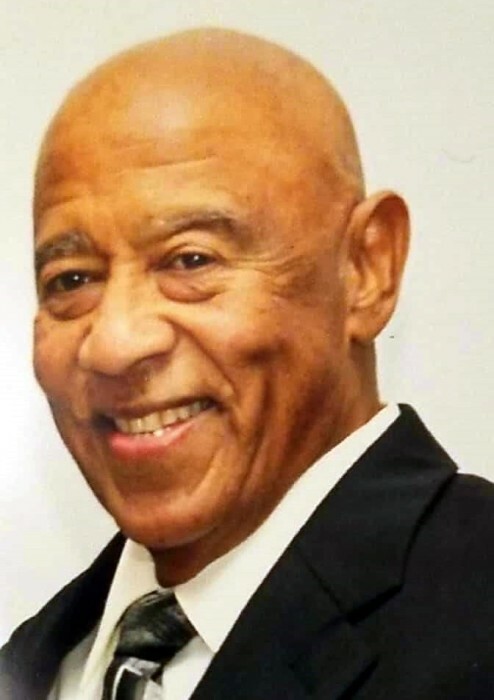 Raymond C. Roberts, 73, of Brockton for the past 39 years, passed away on March 21, 2019. Born in Carthage, Texas on January 26, 1946, he was the son of the late Kermit and Willie Mae (Garner) Roberts. He was a graduate of Jeremiah E. Burke High School in Roxbury. Raymond worked for Hyster Forklift in Waltham as a service representative for 33 years until his retirement. He had worked as a welder in previous years. Ray was a skilled handyman, having the ability to repair and build anything. He used those talents for home improvements and to help others as well. He loved landscaping and took pride in his home. In his spare time, Ray loved socializing with friends at the Raynham Track. He will be deeply missed and forever loved. Raymond was the devoted husband of Barbara A. (Pearson) Roberts for 51 years; beloved father of Keith Roberts, Garrett Roberts, and Raymond Roberts Jr. and his wife Britnie McDaniel-Roberts, all of Brockton; loving grandfather of Keith Roberts Jr. and Cynai Roberts; great-grandfather of Maliyah Roberts; dear brother of Frances Simmons and her husband Bishop Charles Simmons, Helen Hollins and her husband Bishop Milton Hollins, all of California, and the late Lawrence Roberts, Huey Roberts, Joe Roberts, Estelle Green, Jennifer Johnson, and Johnnie Ruth Roberts; brother-in-law of Mr. and Mrs. James Pearson, Linda Pearson, and Eugene Pearson. Raymond also leaves many nieces, nephews, cousins and friends. All are welcome to calling hours Friday, March 29th from 2-4 p.m., followed by a 4 p.m. service in Waitt Funeral Home, 850 North Main St., Brockton. Private burial. In lieu of flowers, memorial gifts may be made to Amyloidosis Center at Boston Medical Center, 830 Harrison Ave 3rd floor, Boston, MA 02118.